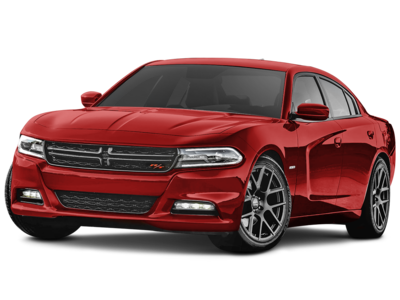 The 2017 Dodge Charger is number 10 in our list for Best Gas Mileage High Performance Cars. Current inventory meeting this criteria averages 7,396 miles. Fuel economy is rated at 20 MPG combined. Scroll down to see what's available in your area right now. The 2015 BMW M4 is number 9 in our list for Best Gas Mileage High Performance Cars. Current inventory meeting this criteria averages 24,670 miles. Fuel economy is rated at 20 MPG combined. Scroll down to see what's available in your area right now. The 2014 Porsche Panamera ranks eigth for Best Gas Mileage High Performance Cars. Current inventory meeting this criteria averages 24,228 miles. The 2014 Panamera achieves a combined MPG figure of 21. Scroll down to see what inventory is available in your area - hurry, before these great deals sell out! The 2014 Chevrolet Camaro is number 7 in our list for Best Gas Mileage High Performance Cars. Current inventory meeting this criteria averages 27,967 miles. Fuel economy is rated at 20 MPG combined. Scroll down to see available inventory for 2014 Camaros in your area. Ranking sixth for Best Gas Mileage High Performance Cars is the 2014 Chevrolet Corvette. Current inventory meeting this criteria averages 15,800 miles. Fuel economy is rated at 21 MPG combined. Scroll down to see what inventory is available in your area - hurry, before these great deals sell out! Ranking fifth for Best Gas Mileage High Performance Cars is the 2014 Nissan Z. Current inventory meeting this criteria averages 28,589 miles. The 2014 Z achieves a combined MPG figure of 21. Scroll down to see what's available in your area right now. The 2017 Porsche 911 ranks fourth for Best Gas Mileage High Performance Cars. Current inventory meeting this criteria averages 3,742 miles. The 2017 911 achieves a combined MPG figure of 23. Scroll down to see available inventory for 2017 911s in your area. Ranking third for Best Gas Mileage High Performance Cars is the 2015 Ford Mustang. Current inventory meeting this criteria averages 20,641 miles. The 2015 Mustang achieves a combined MPG figure of 22. Scroll down to see available inventory for 2015 Mustangs in your area. Ranking second for Best Gas Mileage High Performance Cars is the 2015 Porsche Cayman. Current inventory meeting this criteria averages 18,283 miles. The 2015 Cayman achieves a combined MPG figure of 24. Scroll down to see what inventory is available in your area - hurry, before these great deals sell out! The 2015 Porsche Boxster is number 1 in our list for Best Gas Mileage High Performance Cars. Current inventory meeting this criteria averages 14,275 miles. The 2015 Boxster achieves a combined MPG figure of 24. Scroll down to see available inventory for 2015 Boxsters in your area.